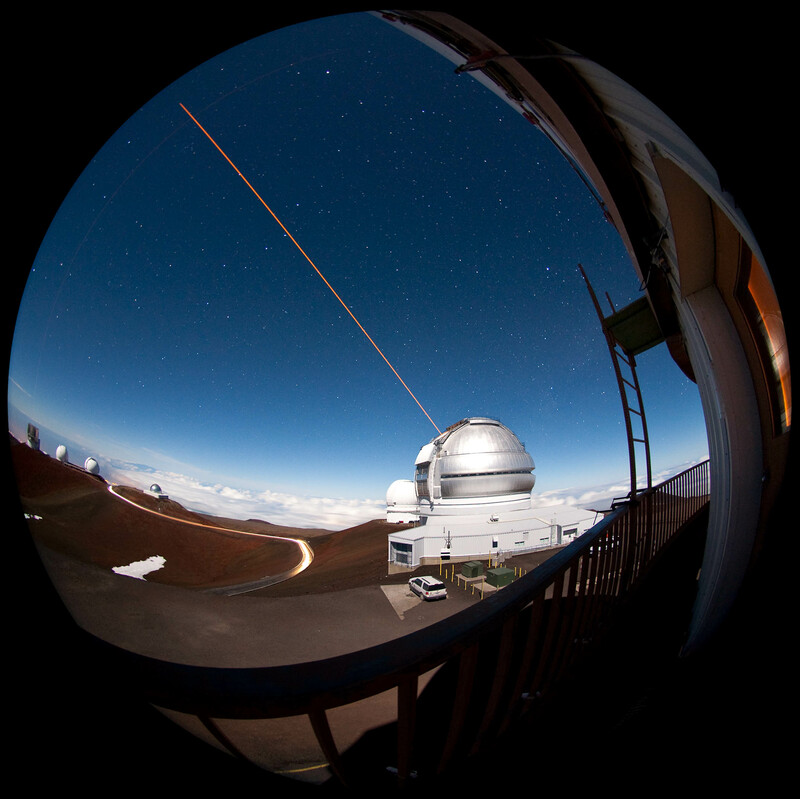 Here is a "fish eye" image of the Gemini North observatory during a Laser Guide Star (LGS) run, taken from the catwalk around the outside of the UH 2.2 meter telescope. LGS creates an “artificial star” which is used as a reference source for adaptive optics systems on Gemini instruments. Directly behind the Gemini Observatory is the Canada-France-Hawaii Telescope; continuing counter clockwise is the NASA Infrared Telescope Facility, the double domes of the W. M. Keck Observatory, followed by the Subaru Telescope.